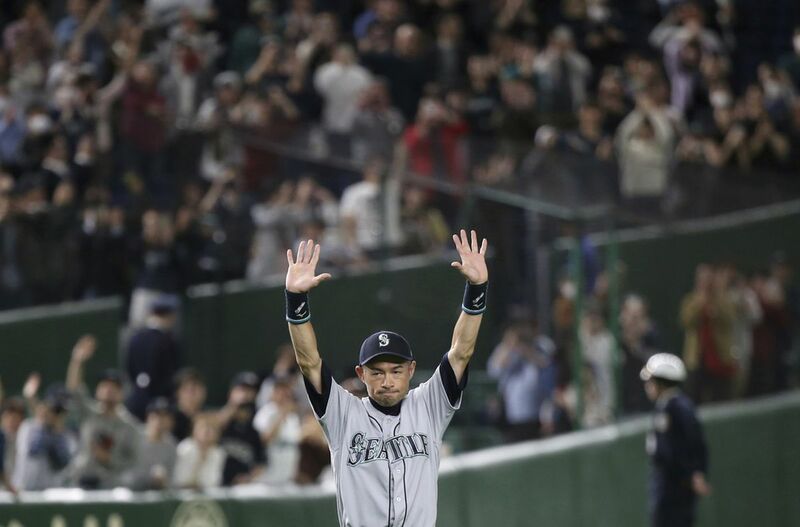 Ichiro said in a statement released by the team, "I am honored to end my big league career where it started, with Seattle, and think it is fitting that my last games as a professional were played in my home country of Japan." Suzuki is considered one of the greatest baseball players of all time. He is a 10-time All Star in the majors, a 10-time Gold Glove winner, and a 3-time Silver Slugger. He won the 2001 American League Rookie of the Year and American League Most Valuable Player awards. Suzuki had 3,089 hits over his MLB career, and is the world leader in professional baseball hits, as his 4,367 combined hits in Nippon Professional Baseball and Major League Baseball exceed Pete Rose's 4,256 career hits in the MLB. Suzuki's 19-year MLB career included 12 seasons with the Mariners, three seasons as a New York Yankee, and three seasons with the Miami Marlins. He played 2,651 games overall.